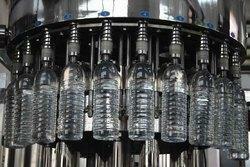 Filling and capping done in this machine with excellent performance and production. Mineral water filling machine is most highly technically designed with considered most durables sub parts & have long life with very negligible maintenace. Juice bottle filling machine with excellent quality and productivity with numerous outstanding features. Filling of juice at high temperature with provision of washing, filling & capping. Excellent machine with mostly use in sophsicated process and as per GMP. Capacities vary from 30bottles per minute (BPM) to 1000 BPM. 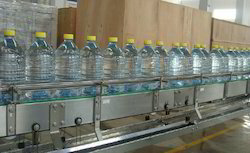 Bottle filling machine with excellent working and high production for commercial use. It is as per GMP and BIS standards. Our machine exports and cater all domestic market. And with high demands due to unparallel technology. Jar filling Machine with 20 Ltrs water fill along with rinsing and capping with very high productivity. It having high demand in market. Very technically designed machine and their configuration. We are the Consultant , manufacturer and supplier of the Candy Sugar Plant.